First things first: there’s no such thing as a “boys” bike or a “girls” bike. Kids bikes are kids bikes are kids bikes. 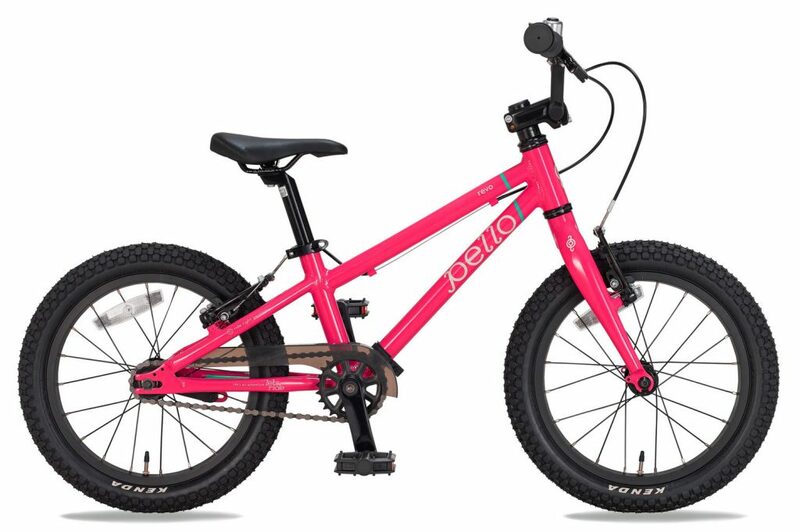 Unlike adult bikes that do come in gender-specific models, “girls bikes” are merely more feminine versions of their counterparts. Girls bikes don’t have different geometry, or a special saddle, or any other difference of any actual functional purpose. That said, there are plenty of girls out there who do want a “girls bike” (i.e. a bike with girly colors, streamers, etc). And that’s fine. I happen to be a very girly girl myself when it comes to bikes and bike accessories. Here are our five favorite 16 inch bikes for girls. These bikes are pretty but even more importantly, they are lightweight, have kid-specific geometry, and are durable. Because you shouldn’t have to choose between looking good and being fast. Down below we’ve also included a comparison chart, and tips on how to choose a 16 inch girls bicycle. Don’t want to spend a bunch of time doing research? Go with the Woom 3. It is THE best 16 inch bike on the market. It’s extraordinary light, is easy to learn how to ride, and has a high-quality build that will last through multiple hand-me-downs. We also love that Woom has made it easy to accessorize. The bike comes in a bunch of bright primary colors with helmets and gloves to match. For more information, read our detailed review of the Woom 3. Learning to ride a bike doesn’t have to be hard. In fact, the Prevelo Alpha Two makes it easy. This 16 inch bike is optimized to make riding easy and enjoyable. The bike has been designed in excruciating detail to include custom-made cranks, upright frame geometry, and high-quality components. 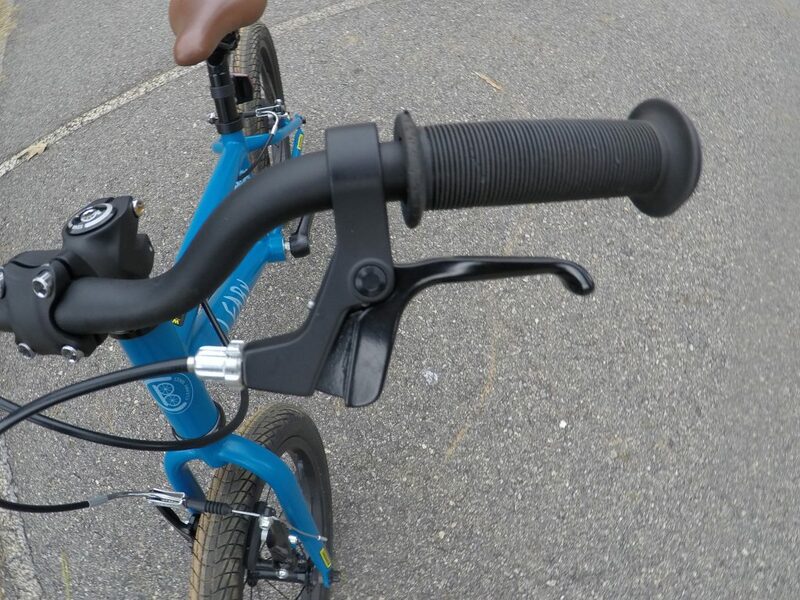 We love the dual Tektro hand brakes and Kenda tires. You can also add custom-color grips and custom name lettering for the frame. For more information, read our review of the Prevelo Alpha Two. The Cleary Hedgehog is a head-turner. Unlike the other bikes on this list, the Hedgehog has a durable steel frame with a powder-coated paint job. Add to that the stylish faux-leather saddle, and a bike can’t get much prettier. Fortunately, the bike doesn’t just look good, it rides good as well. All the components on the Hedgehog are top notch, it is lightweight, and is durable enough to last for years. For more information, read our detailed review of the Cleary Hedgehog. 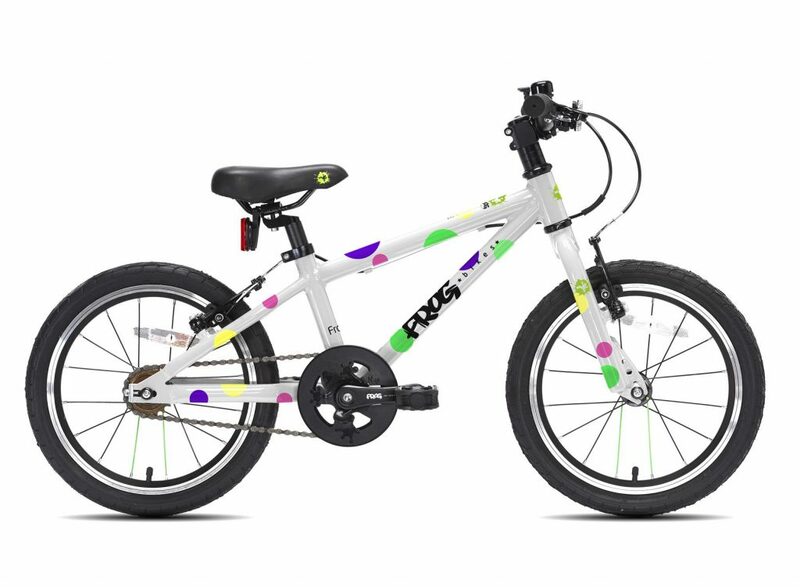 Frog is a U.K. company well known for making great kids bikes. Their bicycles come in a wide array of fun colors and designs, so whatever your child’s fancy, they are sure to find one they love. It comes standard with a freewheel (no coaster brake) which we love and dual Tektro handbrakes. It also comes with a set of fenders and a bell, because you know, sometime’s its the little things that count. For more information, read our detailed review of the Frog 48. This bike is made to go places. 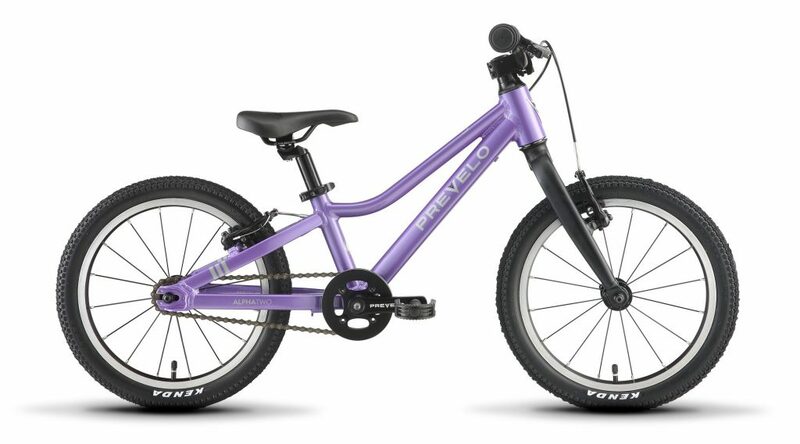 The Pello Rover has nice beefy, fat tires that make it perfect for girls who like to explore. 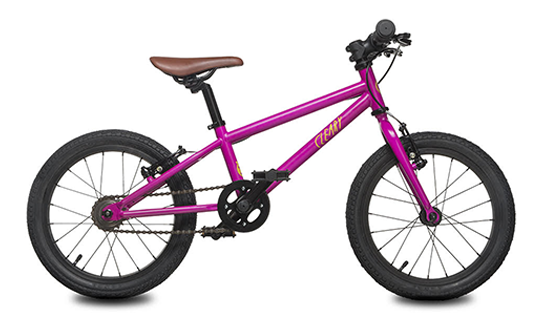 We love this bicycle for families that want to ride dirt trails, head to the bike park, or explore the road less taken. Of course, it works well on the preschool commute also. The bike has dual handbrakes, Kenda tires, a Cane Creek headset, and all sorts of other quality components. It is lightweight so your child can make it long distances with ease. For more information, read our detailed review of the Pello Romper. It is the 14″ version of this bike, but pretty much everything else is the same between the two bikes. You don’t have to limit yourself to the bikes on this list. As previously mentioned, all kids bikes are unisex so the options are wide open. 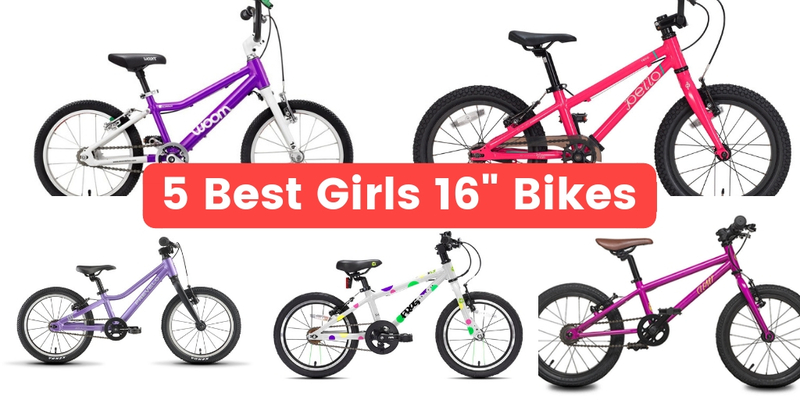 For even more great 16 inch bikes and additional reviews, read our article on the Best 16 Inch Bikes for Kids. Not sure which of these bikes is best for your child? Here’s how they stack up in terms of weight, price, and size. Weight should be one of the first things you pay attention to when choosing a bike for your child. Many kids bikes, especially those at big box stores like Walmart, are HEAVY. Girls, in particular, tend to be more petite and less muscular than little boys, making it especially important for them to have a lightweight bike. A lighter bike is easier to learn how to ride, easier to manage and will go faster. We’ve seen time and time again kids riding heavy bikes who get frustrated easily. If you want your child to enjoy biking, then spend the extra money to give them a bike that will be fun and easy for them to ride. For a good quality 16 inch bike, you need to be prepared to spend about $300. If that is way too much for your family, don’t despair. Look for one used! High-quality kids bikes can be handed down to several children before they wear out so they are great to pick up second hand. The other thing to keep in mind is that if you buy a good quality bike you can always fetch a fair price for it when you are done with it. That makes the investment a little better. 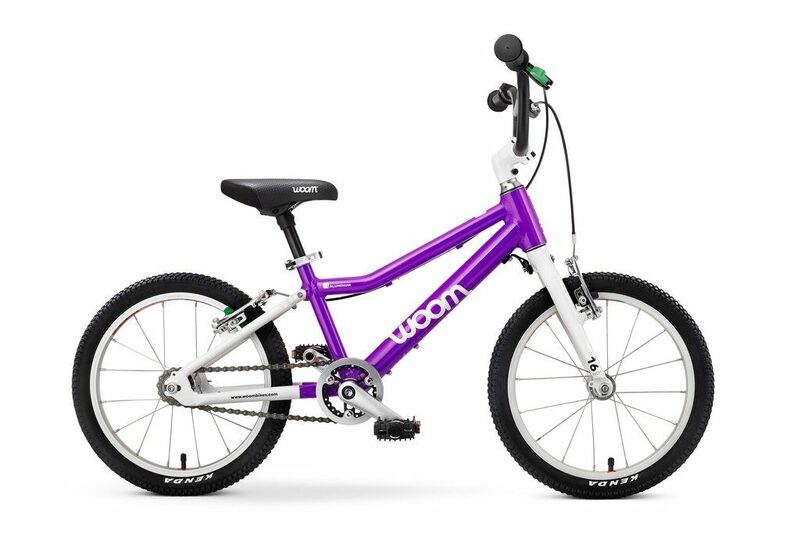 There are also several companies, like Woom and Prevelo, that offer a trade-up program, so when your kiddo is ready for a 20″ bike the investment isn’t quite as painful. Most kids bikes come with a coaster brake. You probably remember these from your childhood, right? A coaster is a brake in the rear wheel that engages when you pedal backward. The problem with coaster brakes is that they can make it difficult for children to learn to pedal and they can actually be quite dangerous! We far prefer bikes with dual hand brakes and no coaster. That’s why we’ve picked bikes for our list that offer dual handbrakes and a freewheel (rear wheel with no coaster). You’ll notice we picked out a bunch of bikes that don’t have training wheels. Why? Because your child doesn’t need them! If your kiddo started out on a balance bike when they were younger, they should be able to transition easily without training wheels. Een loopfiets kopen? Waar je allemaal op moet letten. →← De beste loopfiets: Woom loopfiets uitgeroepen tot beste loopfiets 2019.